Will I have the option of choosing an exam centre of my choice? Yes, according to your convenience, you can opt for a NID exam centre, out of the total 23 exam centres. Where is the NID exam conducted? 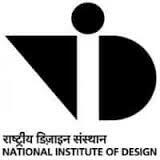 The NID exam is conducted in around 15 centers across India.